I love history, archaeology and archives. 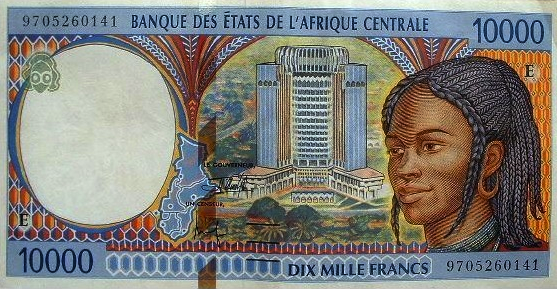 … I just found a new passion: collecting money bills (old money bills, which are no longer in print) from the BEAC zone (central Africa), the BCEAO zone (West Africa), and from all over Africa! In essence, I collect rare old bills. My favorite bills of all times have always been the 10000 FCFA bills from 1978, and 1992 in the BEAC Zone … this was and still is the highest bill in print. 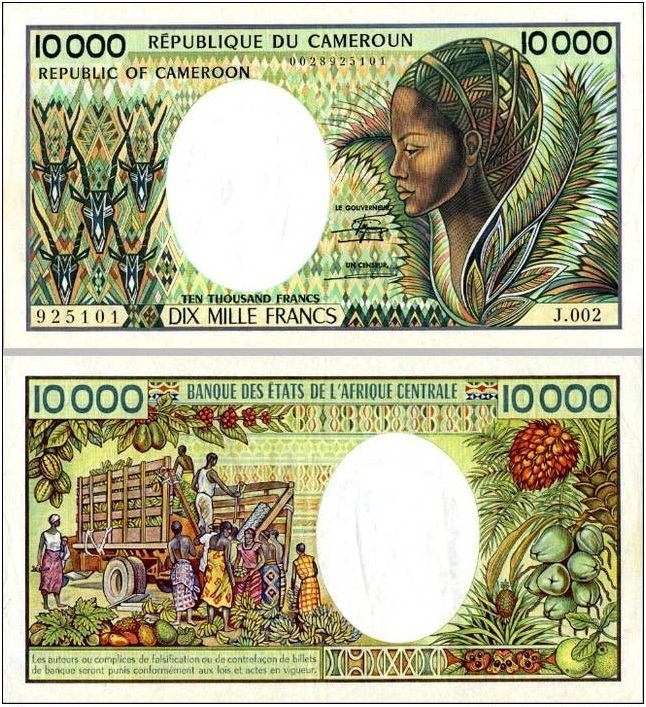 What I liked the most was the images chosen: the BEAC building in Yaoundé (Cameroon), the beautiful woman with her cornrows representing the African beauty itself, the antelopes (this does not take away the fact that FCFA is a slave currency which should disappear). Be the judge! So… do you have a favorite bill? Which one is it?